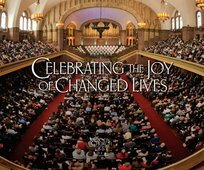 This limited edition commemorative book traces the history of God’s faithfulness in guiding the ministry of The Moody Church for the past 150 years. Starting from D.L. Moody’s days as a shoe salesman in Massachusetts and chronicling his life and ministry, the book moves readers through the establishment, growth, struggles, and triumphs of The Moody Church from the mid-nineteenth century until today. Filled with previously unpublished photos, stories, and correspondences, the book takes readers on an unforgettable journey through The Moody Church's storied history, which includes famous figures such as Abraham Lincoln, John Harper, and Billy Graham. This beautiful book makes a fascinating and encouraging gift for friends of The Moody Church both old and new.